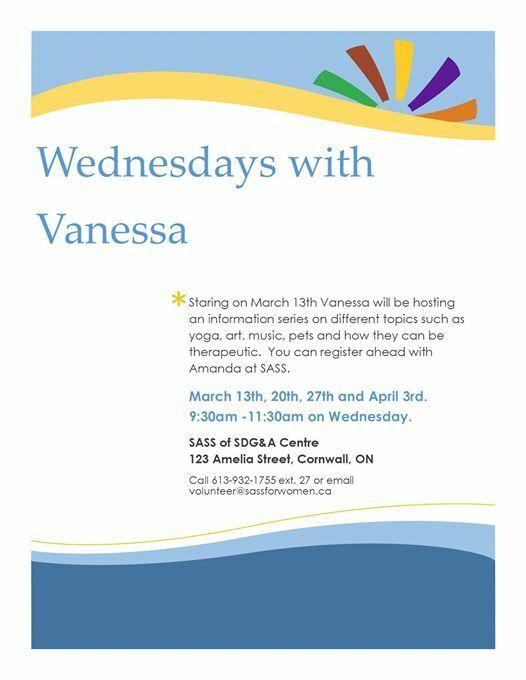 Staring on March 13th Vanessa will be hosting an information series on different topics such as yoga, art, music, pets and how they can be therapeutic. 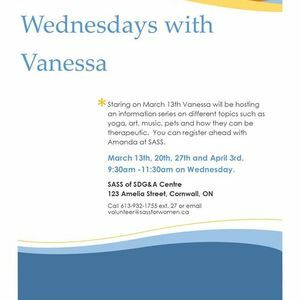 You can register ahead with Amanda at SASS. March 13th, 20th, 27th and April 3rd. 9:30-11:30 am on Wednesday.